Parsley (petroselinum sativum) has a high vitamin and mineral content. It is a folk remedy said to stimulate hair growth. 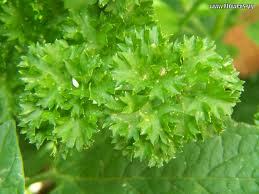 Parsley is also known to be cleansing and soothing to the scalp.